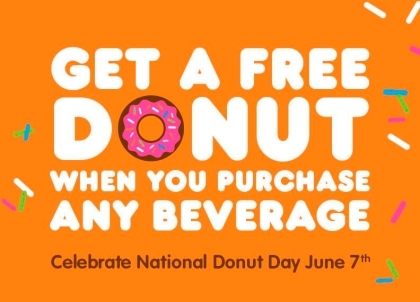 So June 7th has been named National Donut / Doughnut Day. 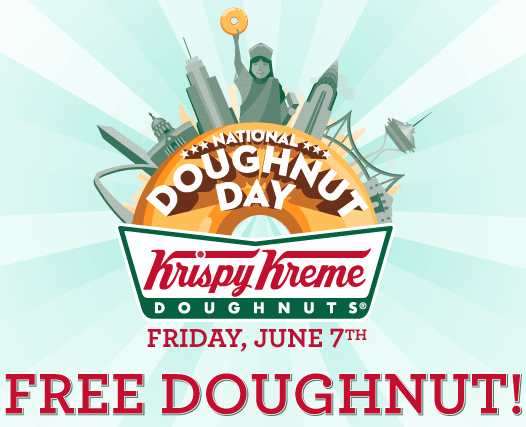 Both Dunkin Donuts and Krispy Kreme are running free donut promotions. Dunkin Donuts is requiring that you buy a drink to get the free donut, while Krispy Kreme is just giving them away (i.e. no purchase necessary).